Italy started the game against the ball in a 5:3:2 organization and drove Belgium mostly crazy all game long. For Belgium, which achieved almost all their goals during the 2014 World Cup from counterattacks this defensive organization proved too much to overcome. 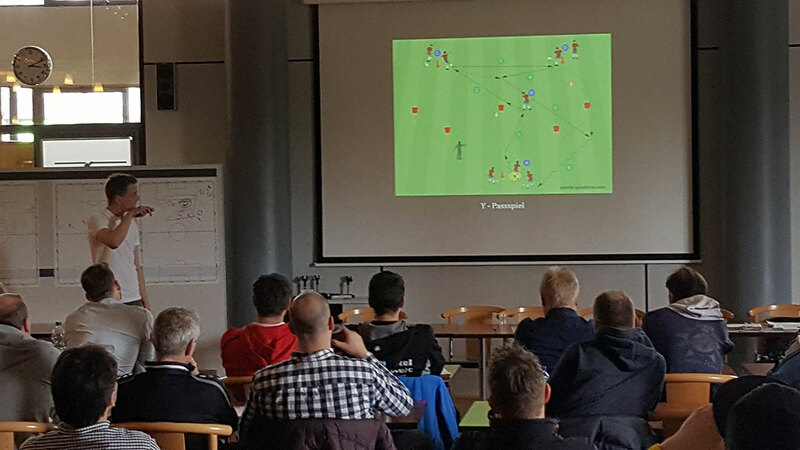 The advantages of back five line are largely known – players (especially strikers) who want to move away from the back five line (like a false 9) can be pursued regardless of the defensive network from one of the three central defenders. Example: De Bruyne plays the ball to Lukaku, who has moved between the chains. One of the three center-back moves out with Lukaku and places it slightly overlapping outwards (to prevent an easy give and go). Majority is produced by the midfielder and the ball was conquered by Italy. 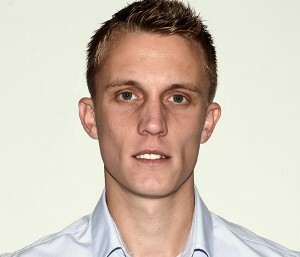 Even if Belgium successfully overcame that structure they still would face two central defender defending the box. Big problems had Belgium but not only with the defensive organization of Italy, but also with their own. 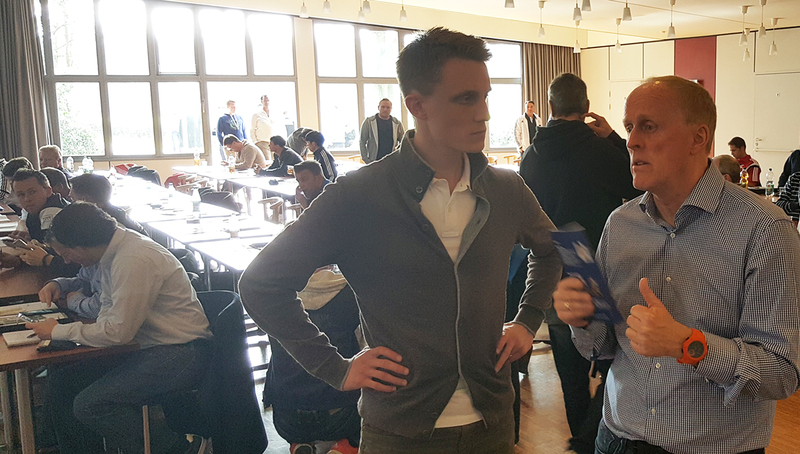 Especially against the two central Italian strikers the central defenders of Belgium displayed major mistakes and exposed partly dangerous spaces: Just Like Italy Belgium’s center-backs followed players between the chains (or even further out) directly. 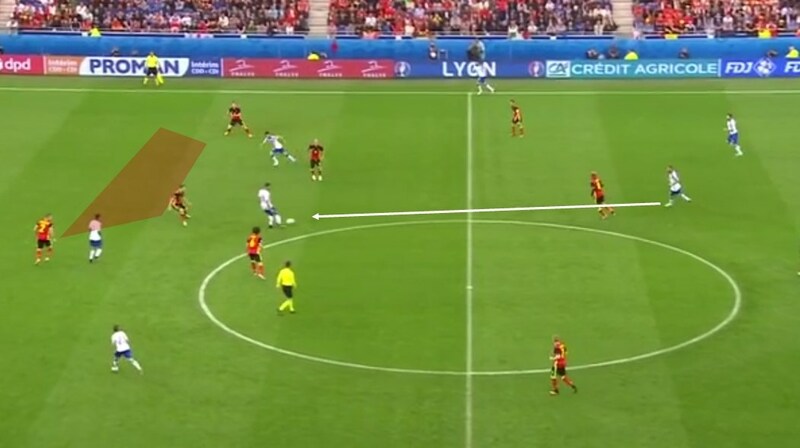 However, Belgium played with a back FOUR line and thus opened partly crucial holes (11./27.Minute). Example: The ball is played to Italy’s striker, Vermaelen is pushed out before (which is a mistake in of itself) that pass, but then remains in a far distance to stand. Lucky for Belgium that the following passes weren’t precise enough. An outstanding ball from Bonucci decided the game early. Playing a ball that came down perfectly between goalkeeper and defender and was also perfectly exploited from Giaccherini. Thus occurred the worst and best possible scenario for Belgium and Italy. Belgium still found no way against tactically superior defending Italians and Italy continue to convinces defensive unity and good vertical play. Real danger only arose from one counterattack by Belgium (53 minutes): After an Italian corner they lost the ball on the opposite side. Of course it is incredibly hard to secure this space after a corner. What follows is the huge quality of Belgium. De Bruyne and Lukaku start from their own penalty area and can this way attack open spaces with pace – almost impossible to defend. Lukaku finally misses against an out coming Buffon. From within the game Italy covered every counterattack with clever organization (and tactical fouls) behind the ball and good running paths of the three central defender. 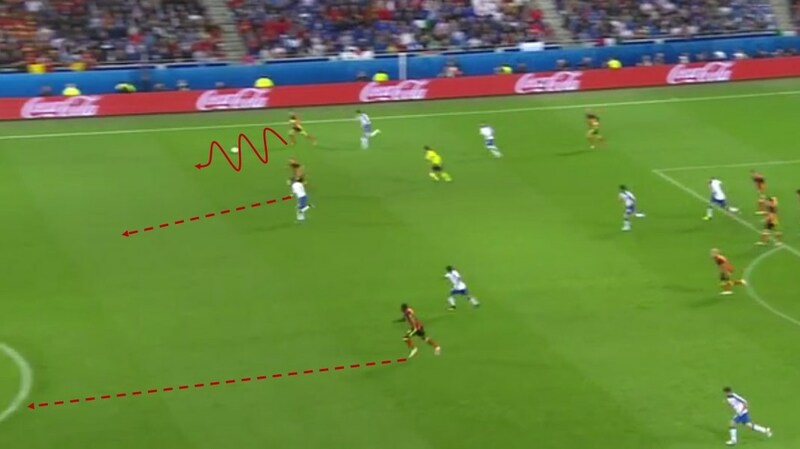 Conclusion: It will be really interesting to see whether a team will develop a successful mechanism to overcome a back five line in possession – Belgium could not, anyway. To maintain the status “tournament favorite” it requires more than skills in counterattacks, because in the year 2016 many teams play a good counterpressing and/or good insurance defense. About Italy remains to be said that no one (really no one) is willing to play against this team voluntarily.